More and more, companies using Salesforce are implementing Voice of the Customer programs. Yet despite the availability of CRM tools and efforts to collect customer feedback, businesses are still struggling to make sense of their customer data and close the feedback loop. In fact, according to a recent study by Bluewolf 78% of Salesforce users believe that data manipulation & analysis are the biggest barriers to deriving insights from Salesforce. The question is, why is the analysis of customer feedback so challenging? 1. The majority of customer feedback is unstructured. Unstructured feedback (also referred to as ‘verbatim’), is akin to human conversation—often characterized by grammatical errors and lack of punctuation—and therefore difficult to analyze. For example, all your text-heavy files like emails, chatter logs, customer cases, open-ended surveys, support call notes, and call center transcripts, are all considered common types of unstructured customer feedback. Regardless, unstructured customer feedback often has the potential to hold much richer information about how your customers really feel about your products and services. Marc Benioff said it best: “95% of the customer experience data we collect is unstructured”. It simply cannot be omitted from our analyses. 2. It’s time consuming. There are many steps involved in the manual customer feedback analysis process. Have you have ever attempted to manually read through hours of unstructured customer feedback? If yes, then you know that trying to separate the key insights from the other “noise” is a long, difficult process. 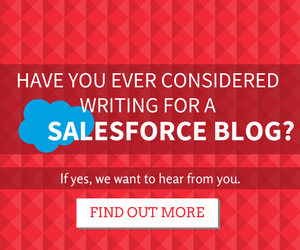 For Salesforce users facing these challenges, SIFT is the missing puzzle piece. SIFT was designed with the needs of Salesforce users in mind. Our lightweight customer feedback analytics solution helps you quickly derive meaning from unstructured customer data that may have otherwise been overlooked. SIFT connects seamlessly to your Salesforce account through an AppExchange app and aggregates your data, bringing it all together in one holistic view. Often times, customer cases are related to other items in Salesforce. 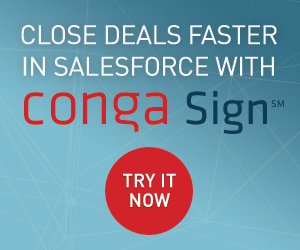 The SIFT Salesforce connector allows you to pull any referenced information and include it in your analysis. Simply install a component from which you can then select which objects you’d like to sync with SIFT. You can then start tuning things to the way you work by selecting how often you’d like to receive new data. You decide what objects should be imported into SIFT and how often your data should be synchronized. In a matter of minutes, you can finally process the customer feedback that’s been piling up and gather actionables. SIFT maintains a near real-time connection to Salesforce, so depending on your sync parameters, new feedback can be analyzed less than an hour after it is stored on your Salesforce account. One of the great things about Salesforce is its data structure, allowing you to reference between any related objects. From there, you can bring back any data points into SIFT. It doesn’t matter if the object is a native SFDC object (emails, live chats, call logs, customer cases) or custom objects like GetFeedback responses, Zendesk logs, or form submissions, you have access to all of it. Using topic detection and sentiment analysis techniques SIFT automatically identifies key subjects and determines whether they are expressed negatively, neutrally or positively. Armed with this information you can start to get a clear understanding of how your customers really feel about your products and services. In the above two images, we see the main topics that SIFT quickly pulled out of a large dataset of customer comments related to a few recent Airbnb guest experiences. Months or even years of unmanaged customer feedback was turned into actionable insights in a matter of minutes. From here, you can drill-down into a specific keyword more closely to view entire verbatims and identify its relationship with other topics, providing you with the exact context in which it was mentioned. Following your analysis, you can then generate a dashboard with your concerns or key actionables and share it with your colleagues through a unique URL. These reports are dynamic and can be accessed anywhere, anytime. Invited users can also contribute their own insights by submitting their comments through the discussion widget. 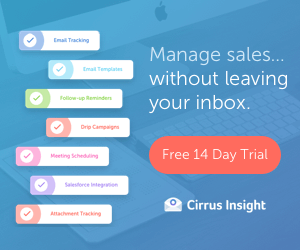 With the simple click of a button, you’re instantly bringing critical issues and new ideas to the immediate attention of your team members, and inviting them to contribute – all without leaving your desk. With SIFT, there’s no need for hard coded logic or customization, the application comes ready out-of-the box and doesn’t require any customization. With so many challenges to analyzing customer feedback, the benefits of SIFT are substantial: Seamless integration with Salesforce, ability to quickly identify critical issues, improve operational efficiency, discover new ideas to fuel product and service innovation, and gain insights to improve satisfaction and exceed customer expectations.